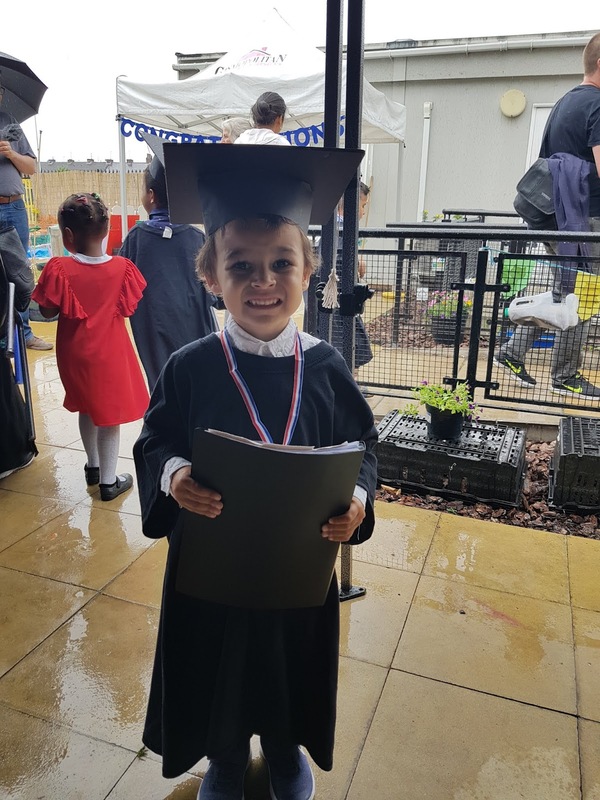 Today was Marley's "graduation" from nursery. I cannot believe how quickly time has passed and that he'll be starting school in September! He looked the smallest at graduation, but then he will only be 4 years and 2 months when he starts school, so I think he'll most likely be one of the youngest there!